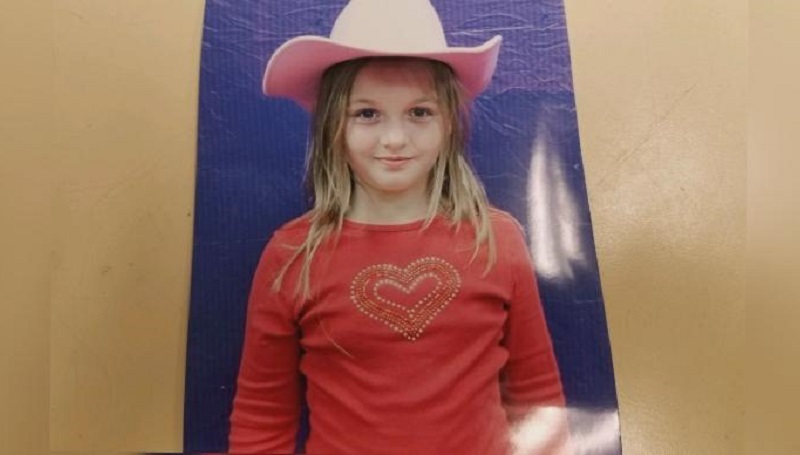 Police in the state of South Dakota need your help finding 9 year old Serenity Dennard. Serenity was last seen around 11:20 am on the morning of Sunday, February 3, 2019 leaving the Children's Home Society on South Rockerville Road in Rapid City, South Dakota. Authorities are concerned about Serenity's health and well being because of winter weather temperatures. Serenity is described as a white female with shoulder lengthy dark blonde hair, blue eyes, 4'7" tall, and weighing 90 pounds. When last seen, Serenity was wearing a long sleeve shirt with flowers, blue jeans, and snow boots. Authorities have reason to believe that Serenity might travel to Sturgis, South Carolina. If you have seen Serenity or have any information about her, please contact the Pennington County Sheriff’s Office at (605) 394-6115. If you have five seconds, copy and paste this PL8PIC link to social media as a public post, tag several friends, and use the hashtag #findSerenityDennard to help this alert go viral. You never know. You might just help save a life.